It was always on the cards that the first two weeks of February 2018 were going to be an important time for the Australian fintech industry. With the Australian Parliament returning from its summer hiatus, and a number of important reports expected to be released, there was a feeling that some fintech-friendly announcements were coming our way. Fintech ties between Australia and the United Kingdom were strengthened last week when the London Lord Mayor Charles Bowman travelled down under with a fintech business delegation. 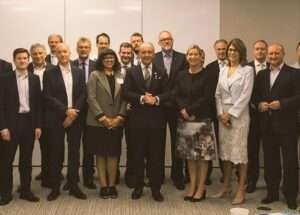 Mr Bowman met with various government and business leaders, regulators, and trade bodies in Sydney, Canberra and Melbourne. He discussed his plans for the City of London to be a home away home for Australian fintech startups.